The International Conservation Fund of Canada (ICFC) aims to conserve natural ecosystems and biodiversity in the world’s tropical regions. The ICFC supports direct conservation actions in collaboration with partners in Latin America, the Caribbean, South and Southeast Asia, and Sub-Saharan Africa. ICFC does not offer grants or donations. However, it accepts project proposals from prospective partner organizations. Supporting laws and agreements that protect habitat. Projects may involve terrestrial, wetland, freshwater, or marine habitats. ICFC generally works with partner NGOs that carry out project activities through an agency agreement. The Fund sometimes collaborates with peer international conservation organizations, especially on land acquisitions. 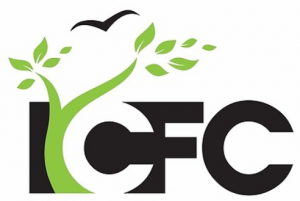 APPLICATION: ICFC does not make grants or offer any other form of financial donations. However, it welcomes project proposals from experienced and preferably local conservation organizations. Projects may be submitted either at the idea stage or as developed proposals. ICFC publishes criteria and a checklist of what it expects from potential partners. ICFC works with partners in the following regions, classified according to the geographical framework of the Terra Viva Grants Directory. The Fund identifies projects it has supported. Project partners include both international and national conservation organizations. ICFC publishes annual reports and newsletters.